If you are investing quite some bucks on your house, you might want to invest some on its protection as well. That’s why there is a growing demand of fence these days. The market has so many of them available in multiple sizes and prices. Depending on your choice, you can go through all the options and choose whichever one matches your choice the most. You can get the best quality from us at Groundhog Repellent. The costing might be a bit expensive for some, but this kind of fence is a onetime investing plan. 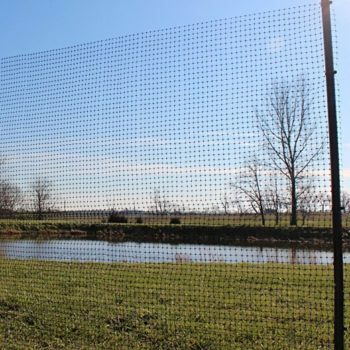 Our Groundhog Fence is a most popular choice among the masses and mostly available in the overall black color. Before investing money on fence, get its details first. Our products have 50 feet width and 7 feet height with the fence. So, this item is going to cover quite a huge area easily. If that’s not all, you have so many other features involved. The items are rather easy to install. Another interesting factor is that the fences are expandable in nature and can be removed once the purpose has been served. Just be sure to get the right size of the fence and then look for the ones you like. If you want to know more, then catch up with the fence style now. Now you get the chance to protect your garden from unwanted rodents and other wild animals when you have this fence to cover and protect your property. There is an easy to install kit available, which will help you install the fence on your own. That means you don’t need any secondary help from our side to install Groundhog Fence now. The fence coms handy with galvanized steel posts, which will make it stand strong and erect for a longer span of time. You don’t have to pay much for that.